A few months over 46 years ago, Aretha Franklin released one of the greatest songs ever recorded, one among the many in that pantheon for which she is responsible. From certain angles, “Day Dreaming” might look like a secondary entry in her career. A less ubiquitous Franklin hit, it came deep (20 albums) into her discography, the fifth single from 1972’s Young, Gifted, and Black, her lowest-charting LP at that time. (Still, the album’s #11 placement on the Billboard 200, Grammy win, and gold certification aren’t half bad.) “Day Dreaming” itself hit #5 on the Hot 100, and topped the soul charts. 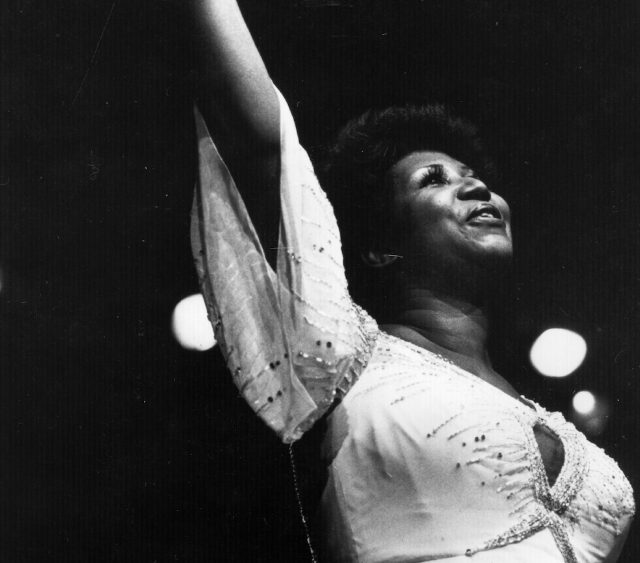 To say that this wasn’t one of Franklin’s major commercial achievements only points to what a monolithic career she had—the kind of career which suggests that some music necessarily finds its way to an audience commensurate to the size of its power and integrity, or seems to manifest one. In some sense, “Day Dreaming” represents the side of Aretha’s style that is less widely celebrated, forming a kind of antithesis to the unrepentant “Respect,” “Chain of Fools,” and “Think.” “Day Dreaming” is a tender love song, backed by a small, muted ensemble. Unlike spiritual predecessors like “You’re a Sweet Sweet Man,” “That’s All I Want From You,” or “This Girl’s In Love With You,” the song’s rhythms are slippery and jazz-like, assisted by Hubert Laws’ flute adumbrations, Donny Hathaway’s warm Rhodes piano, and Bernard “Pretty” Purdie’s drowsy drum fills. The punishing gospel downbeat is gone; there is no muscular horn section. The song, with its cross-sticked Latin-informed groove, lopes rather than shuffles. It’s like a callback to Franklin’s treatment of more sentimental standards during her early recording career on Columbia, but invested with a luxe, contemporary atmosphere. Aretha’s voice so often sounded like a full brass band in itself, but the power of “Day Dreaming” lies in what she withholds as much as what she delivers. Part of what made her perhaps the greatest pop vocalist of all time is her ability to adjust her style to disparate material (Lennon/McCartney at their most self-serious, The Doobie Brothers, or Puccini) while still sounding like the one-and-only herself. If Franklin was personally infamous for preferring things her way all the time, she never failed to meet her repertoire on its own terms before choosing the methodology she would use to transform it. In this case, Franklin set the terms and conditions herself. “Day Dreaming” is the first of three stunning originals on Young, Gifted, and Black; another equally great entry is “Rock Steady,” arguably the single funkiest moment in her discography. Otherwise, it’s a record largely comprised of her takes on songs made popular by other artists. Not only was “Day Dreaming” thoroughly Aretha’s creative handiwork—down to her playful, deceptively complex piano accompaniment—it showcased the artist at her most vulnerable and, perhaps, personal. In 1999, she told Oprah Winfrey that “Day Dreaming” had been inspired by her boyfriend at the time, the Temptations’ second lead singer Dennis Edwards, who passed away earlier this year. (“I liked him a lot,” she confided.) “I wanna be what he wants when he wants it/And whenever he needs it,” she sings with a sprightly, lilting delivery, nudging the “wants” with a syncopated subtlety recalling one of her clear progenitors, Ella Fitzgerald. “Day Dreaming” sounds all the more miraculous in 2018 because it represents Aretha’s future impact as much as her musical roots. It’s a song that truly sounds out of time, like it could have reasonably been recorded yesterday as easily as in 1971. Its style of slick, effortless syncopations and sensual melismas became central to R&B writing of subsequent decades. Its hook could have grounded a ‘90s Mariah Carey hit, and it did, in a contorted appropriation, form the basis for a T.I. single in the early ‘00s. It’s no surprise so many R&B singers have released state-of-the-art covers of it in the past three decades, and that the song is such a natural fit for that treatment. The psychedelic choral tag at the songs’ beginning and ending—equivalent to the sound effect that signals a dream or flashback in TV and film comedies of yore—recall the layered vocal textures that define the sound of Solange’s revered 2016 album A Seat At the Table. There are countless Aretha Franklin songs that seem to serve as complete microcosms of her range of talent and cultural significance. I accept that “Day Dreaming” may feel particularly resonant today because it was never a cultural anthem on the level of others among her long list of charting hits. But in pointing away from some of the righteous power of those songs, it throws into relief the full architecture of her artistry, foregrounding some of her less-appreciated secret weapons and reminding us of her consummate musicianship and good taste. All at once, “Day Dreaming” pays tribute to Franklin’s musical pedigree, her signature as a writer and interpreter, and the music she would go onto inspire—her past, present, and future rolled in a pristine three minutes and thirty seconds.